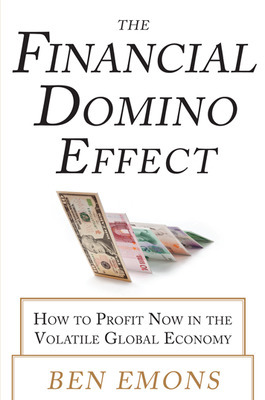 Guest post from Ben Emons, author of The Financial Domino Effect. The turn of the European debt crisis happened in 2012. When the European Central Bank (ECB) committed to protect the Euro with unlimited means, a credible lender of last resort was born. Shortly thereafter, the financial contagion that engulfed the region ended, and the crisis subsided. Nowadays, investors see an opportunity when there is a brief moment of stress. Positive investor psychology made life easy for European governments. That was until January 2015, when the Syriza party won a declaring victory in the Greek elections. It was a watershed moment to start a new crisis: political concerns over debt and deficits. 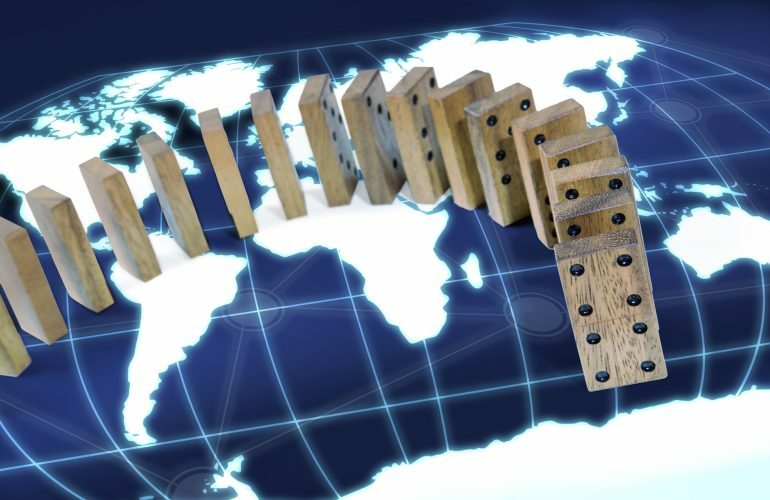 It has become the domino within where the old crisis morphed into a new one. An electorate crisis synonymous with ubiquity: a unique force or factor setting off a chain of events. The Greek elections were such a force. Elections exposed a flaw in the design of the European Monetary Union. It is called the option to abandon the European system at any point in time. A sovereign country is not bound by the Lisbon Treaty to make its own decisions. Countries can exercise the right to hold a referendum or a national election on the basis of democratic legitimacy. If the outcome is a rejection of austerity, it may politically imply fiscal rules of the monetary union would be questioned. A consequence could be a political process that may shift towards a political debate whether a country should exit the monetary union. The monetary union is based on rules that are enshrined in the Lisbon Treaty on the premise of a no bailout clause. Rules provide limited degrees of freedom for countries because one country (and one central bank) sets the rules for others. ECB President Draghi called it the imperfect union: a union that is fragile and vulnerable to political shocks. Political shocks played out in the recent Greek crisis. Months of complicated negotiations on conditions to release bailout funds led to a political climax late June. Fatigued and upset with Greeces resistance, German Prime Minister Merkel and French Prime Minister Hollande presented an ultimatum to Greek Prime Minister Alexis Tsipras. Driven in a corner and feeling blackmailed, Tsipras unexpectedly called a referendum on austerity on June 26. Although the referendum vote was overwhelmingly NO, on July 6, European partners gave Greece on another ultimatum to implement more austerity or face the Euro exit. After 34 hours of negotiations, Tsipras bowed to pressure, and a statement was released containing significantly more reforms and worse austerity demands. The awkward situation was Tsipras became the biggest supporter of a worse dealeven though he said he didnt believe in it. Greece was left with no choice but to accept tougher conditions in exchange for preserving the Euro. The Greek crisis is an example of a slow moving social-political contagion. It is a rolling crisis because austerity and reform demands continuously set back the Greek economy. The primary deficit targets are too ambitious because economic growth remains anemic and the output gap is structural. Unlike the old crisis, the new crisis is contagion that works through the local European political channel. Political resistance against further austerity and bailouts is on the rise across Eurosceptic and pro-European parties. Ben Emons is a senior vice president and a portfolio manager in the global portfolio management group at Pacific Investment Management Company (PIMCO), Newport Beach, California. Prior to joining PIMCO, he was a portfolio manager at Nuveen Investments in Los Angeles. He has 20 years of investment experience and holds an MBA from the University of Southern California Marshall School of Business and a master’s degree in international finance from the University of Amsterdam.